Nathalie Khayat is a ceramic artist. 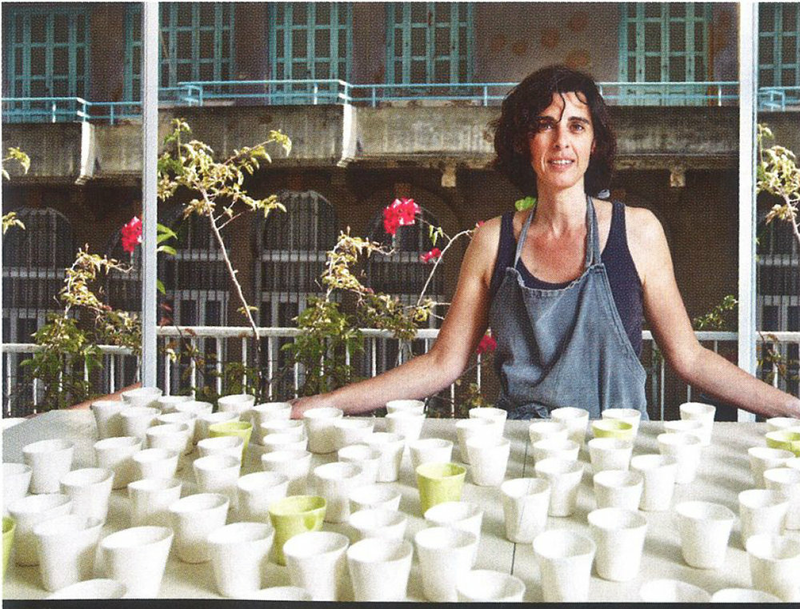 She started working with clay in Montreal in 1995, and later went to Beirut her native city, where she opened a studio for her practice and for the teaching of pottery. She moved to New York in August 2016 , and is currently preparing a show for 2017. Her work has been exhibited in the USA, Montreal, France, London, Dubai and South Korea, as well as Lebanon. Nathalie has been working intensely with Porcelain; her sculptures and misshapen vessels vibrating through the imprints of her fingers that mold rythmic and evocative dialogs between the matter and the process of the making. Her work becomes a contemplation, a projection of inner silence toward outward landscapes ; from immobility to movement.